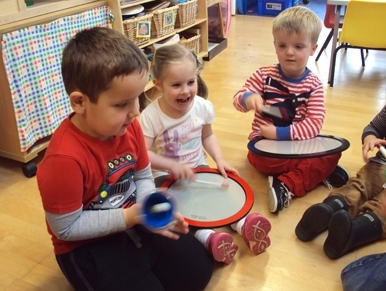 Our nursery, Saoghal Beag, is open to children from the age of six months to five years. We are the only nursery in North Uist, and the only one in all the Uists to offer full-time day care, as well as particular expertise in the care of children with special needs. We offer all our services through the medium of both Gaelic and English. We are open from 8:30am to 5:30pm throughout the year. This includes the school holidays, although hours might be reduced at this time. We close for only two weeks in the summer and two weeks over Christmas and new Year. All staff are qualified and highly experienced. Staff undertake regular training to ensure they are in the best position possible to offer quality childcare in a caring, safe and friendly environment. Following refurbishment of the building in 2007, the area allocated to the nursery was increased to provide two additional rooms, allowing for an improved capacity, as well enabling the creation of a dedicated space for visiting agencies and for the provision of family services. In 2012 exterior groundworks were carried out to create a fenced and safe outdoor play area and garden. In August 2016 with the completion of the new Primary school , Saoghal Beag Nuresery moved into the school while continuing to provide the same level of care - extended hours and holiday care. We are a registered partner provider of care and operate in partnership with Comhairle nan Eilean Siar Early Years Partnership. Saoghal Beag Nursery is also regulated by the Care Commission and HMIE and is regularly inspected. Read the latest Care Commission report (click here) and the latest HMIE inspection (click here).